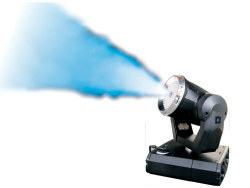 ~ Great for showing up your light show & producing an excellent stage effect. 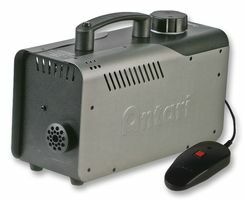 One canister of smoke fluid will provide six 1 minute bursts of smoke at full output. 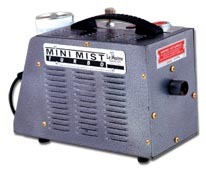 An amazingly powerful little machine capable of producing 1.500 cubic feet of smoke per minute. A very compact machine ideal for building in stage sets or small areas & for use at small parties or events. Supplied with a standard 3m hand held remote. Supplied with a tank of Smoke Fluid. A rugged & compact machine suitable for smaller venues & events, owing to the ECO thermal control system it can undertake a fast heat up time of 100 seconds & can produce 3,000 cubic feet of smoke per minute for as long as needed. The internal spiral shape heater is made of stainless steel that provides the most effective heat energy transfer & its high efficiency power control system allows the machine to operate at a low level temperature saving 20% electricity. Supplied with a standard wired remote control but can also be supplied with a wireless control. The Z1000 is a compact but very powerful machine producing 10,000 cubic feet of smoke per minute. This makes it ideal for medium to large events, the machine is supplied with a standard wired remote control but can also be supplied with a wireless control, additionally the machine can be controlled by its on board DMX control. 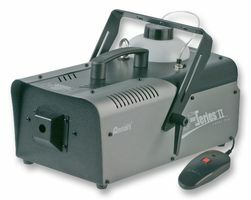 An extremely powerful professional smoke machine ideal for use at large venues & events. Fitted with a 3000 watt heater & microprocessor heating control giving the machine a massive output of 40,000 cubic feet of smoke per minute. 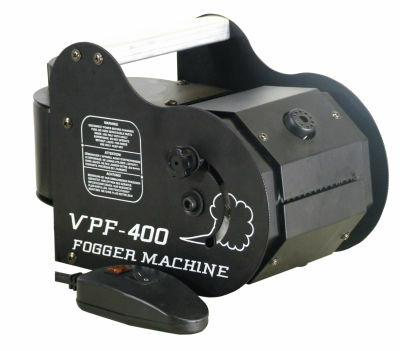 The VPF is a small compact smoke machine ideal for use in small spaces or for building into a set or prop. The machine is fitted with a 400 watt heater which can produce 1,800 cubic feet of smoke per minute. The front of the machine is adjustable through 180 degrees allowing the machine to be used to produce various smoke effects such as vertical jets or down jets. 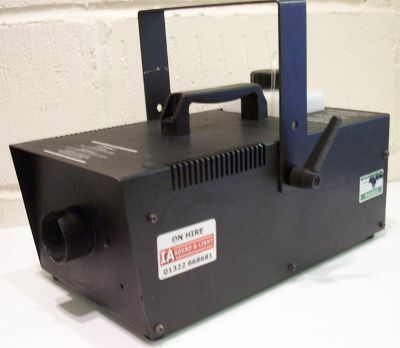 The machine produces a jet of approx 1-2 meters, it is supplied with a standard on/off remote control but can be fitted with a DMX control module if required. A powerful and effective vertical smoke machine which produces a vertical smoke fountain, perfect for theatrical and studio application, large halls, concerts, clubs and DJs. 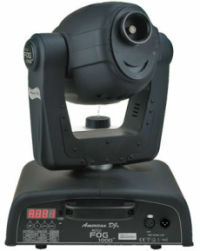 Supplied supplied with a wired remote control and can also be controlled more precisely via DMX. The machine features an impressive 10,000 cubic feet of smoke per minute. 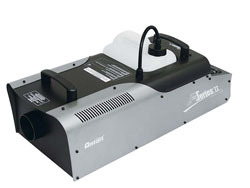 Featuring full DMX control of the pan, tilt, smoke & timing functions the Accu Fog is a unique effect ideal for adding that extra effect to many types of events & shows. 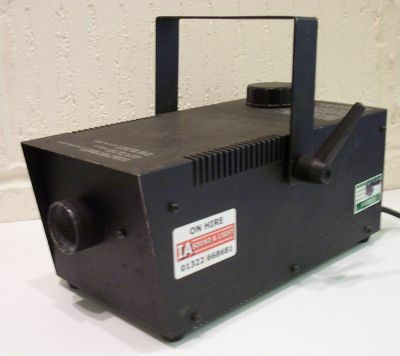 Fitted with a 1000 watt heater which can produce 10,000 cubic feet of smoke per minute. Featuring an auto cut of system to protect the pump system when the smoke fluid gets to low. Due to the removable rotating tank holder the machine can be used in any position from floor to ceiling. The M - FED 1500 is a truly amazing unique affect ideal for adding that extra wow to many types of events & shows. Fitted with a 1500 watt heater which can produce 20,000 cubic feet of smoke per minute. With a additional feature of the front of the head housing a total of 168 red, green & blue LED's, this allows you to "colour" the smoke produced from the machine. The machine has a built in fluid tank which can be inverted to allow the machine to be hung upside down. 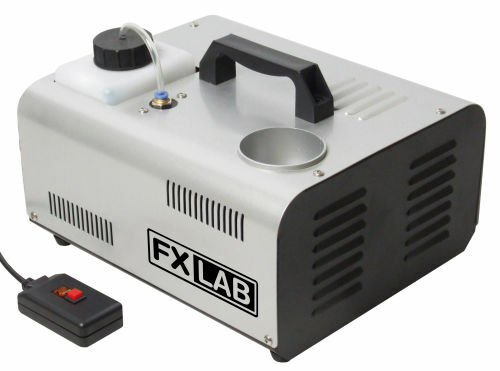 The machine features full DMX control of pan, tilt, smoke & individual control of the three colours for full colour mixing along with a master dimmer a variable speed strobe. Supplied with a full tank of standard smoke fluid.